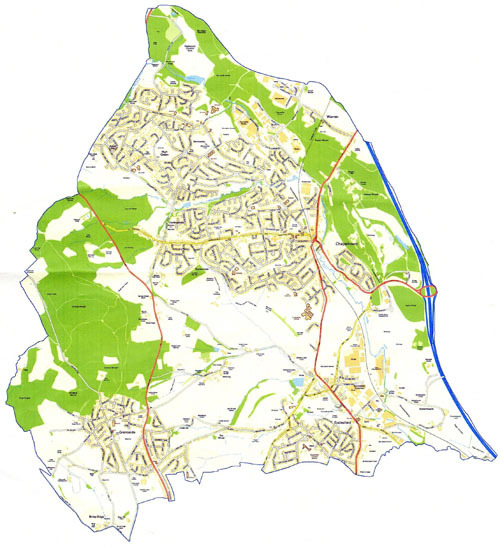 To the casual visitor, the northern suburbs of the present-day Sheffield Metropolitan District, which include the modern parish of Ecclesfield, are indistinguishable from the outer residential districts of other large urban areas throughout the country, containing as they do, extensive areas of semi-detached and detached houses and bungalows, largely of red brick with tile roofs, intermingled with woods, stretches of farmland, parks and playing fields, and a number of modern industrial complexes, and cut through by a number of important roads containing ribbons of retail shops. However, further exploration reveals that embedded in this suburban sprawl are what were once four separate village communities of Ecclesfield, Chapeltown, Grenoside and High Green, together with a number of smaller settlements – such as Charlton Brook, Butterthwaite, Whitley, Bracken Hill and Warren – that once had their own individual identity and character. Even today these old settlement cores are easily recognized by their building materials – local sandstone walls and stone slate roofs. All these settlements were once part of the ancient ecclesiastical parish of Ecclesfield which, before its break-up into a number of smaller ecclesiastical districts in the nineteenth century, including ones at Grenoside, High Green and Chapeltown, was once one of the largest parishes in England, covering nearly 50,000 acres or nearly 78 square miles. 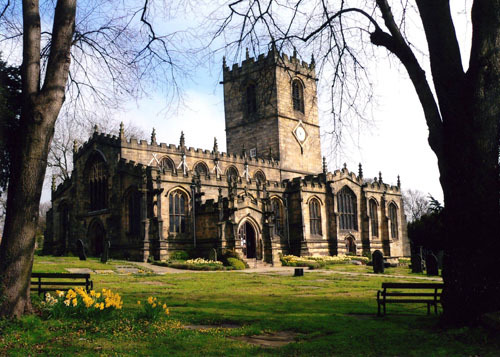 This extensive parish was served by the Parish Church of St Mary, standing proudly on its eminence in the village of Ecclesfield, together with chapels-of-ease at Bradfield (now St Nicholas’ Parish Church in the separate parish of Bradfield) and Chapeltown. 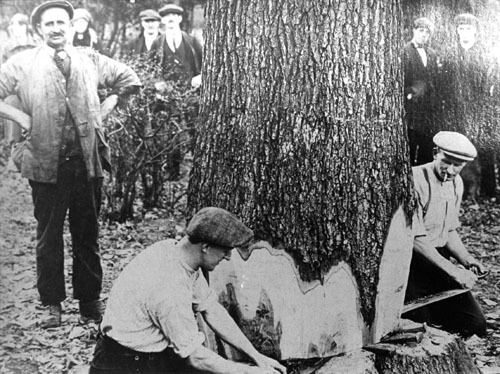 The area now covered by the modern parish has relied since time immemorial on the exploitation of the physical resources within its boundaries: the land, the woods, the stone, the coal, the iron and the power generated from its small streams and brooks. 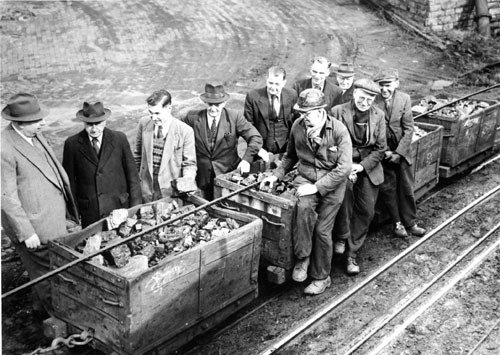 These gave rise at an early date not only to farming, quarrying, coal and ironstone mining and woodland crafts but also to a tradition of iron production, light metal trades, and later to foundry work, engineering and coke and chemicals production. 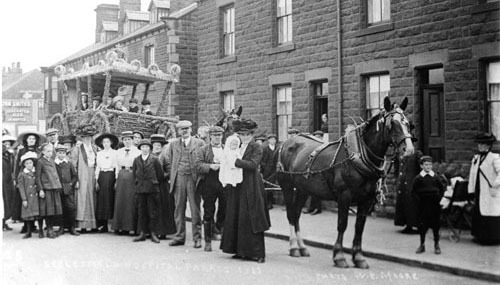 Eventually it was coal mining, foundry products, engineering and chemicals production, together with the inexorable growth of Sheffield and the suburbanisation of its population, which transformed the landscape of the area and made the once separate villages and hamlets into the interlocking, cosmopolitan residential communities of today. The name of the parish and of the ancient village within it, Ecclesfield, is of Anglo-Saxon origin and means the Christian church (eccles from the Celtic word eglwys) sitting in a treeless area (feld) in a district otherwise well-wooded. Ecclesfield was mentioned for the first time in the Domesday Book of 1086 when it was recorded as Eclesfelt and Eclesfeld and contained more than 2,000 acres of woodland. It is generally believed that Ecclesfield was the centre for a large Celtic estate when the heathen Anglo-Saxons settled the area, an estate covering much of modern Sheffield and known by the Middle Ages as Hallamshire. 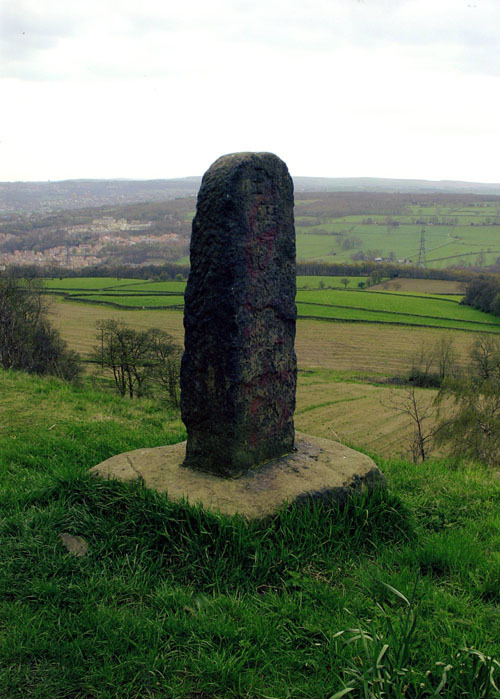 An interesting survival of the medieval period is the Birley Stone, standing at 816 feet (249 metres) above the Don valley. It was first mentioned in 1161, and was probably originally a way marker to mark the route from Ecclesfield via Oughtibridge to Bradfield. It later became an important boundary marker between the Grenofirth and Southey quarters of Ecclesfield parish. 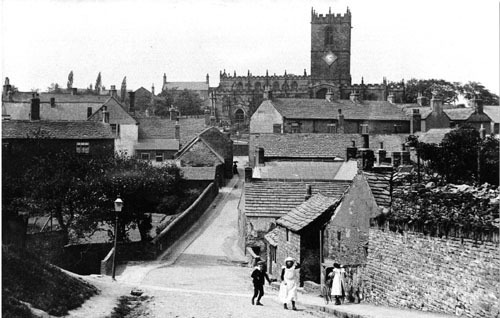 Before suburbanisation, Ecclesfield was a stone-built village, the original centre of which – called the Town End or Top End – huddled below the Parish Church, known in the past as the Minster of the Moors. The earliest mention of a church here is in 1141 and the present magnificent church resulted from extensive rebuilding in the Perpendicular style at the end of the fifteenth century. Inside there is a monument to Sir Richard Scott (dated 1640) and stained glass windows dedicated to children’s authors Margaret Gatty and her daughter Juliana Ewing. Buried in the churchyard are Joseph Hunter, the renowned local historian, Alexander John Scott, Nelson’s chaplain and secret agent, and Parkin Jeffcock, who lost his life trying to save trapped miners in the Oaks Colliery disaster in 1866. Behind the church the Benedictine Ecclesfield Priory still survives now converted into a private home. It was built to accommodate the monks of St Wandrille’s Abbey in Normandy who were granted the church and land in Ecclesfield parish by the lord of the manor, William de Louvetot. It was first recorded in 1273. The village stretched along Church Street, St Mary’s Lane, Townend Road and Stocks Hill. Here were a number of inns and taverns and the village stocks, and it was probably here that the bull and bear baiting took place that Rev Dr Gatty, the new vicar in 1839, referred to as having survived within living memory. The village stretched beyond this core along the present High Street (formerly called the Wallet) where there was a small green, and along Dog Leg Lane (now Mill Lane) to the Common. Behind the village to the west of the church is a small stream that flows eastwards and eventually joins Blackburn Brook on the Common. This small insignificant brook powered up to six water-powered mills producing at one time or another flour, paper, cotton, hackle pins, scythes and forks. Beyond the village lay an open field system, and although the open strips were to continue in existence until the late nineteenth century, local farmers were cultivating their strips privately for at least a century and a half before that time. Villagers not only cultivated the land and kept livestock but also often had a second occupation. In the seventeenth and eighteenth century, the most important of these was nailmaking, which was replaced by hand file-cutting and gimlet making in the nineteenth century, which in turn disappeared in the face of competition from machine-made tools. 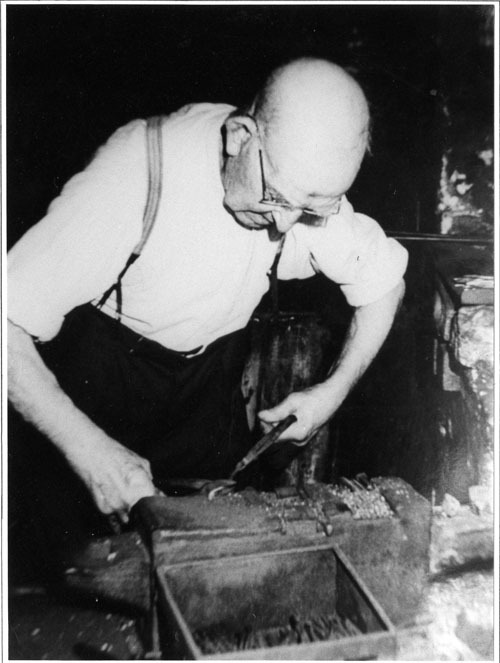 Nailmaking, hand file-cutting and gimlet making were domestic industries carried on in small smithies. A small number of these still survive in the village. In the nineteenth century the village and ecclesiastical parish were the home of the Gatty family who are sometimes known as the Bröntes of South Yorkshire. Alfred Gatty was vicar of Ecclesfield from 1839 until 1903. His wife Margaret was a famous children’s writer and marine biologist, his daughter Juliana (Mrs Ewing) was even more famous as a children’s writer than her mother, Lord Baden Powell taking the name, Brownies, from one of her stories, for the junior branch of the Girl Guides. One of the Gatty sons, Alfred Scott-Gatty, was chief herald at the College of Arms and organized the coronation of King George V.
Grenoside is the most westerly of the four main settlements and the highest above sea level: the highest part of the village is over 800 feet (243 metres) and Greno Wood to the north of the village rises to over 1000 feet (305 metres). The name Grenoside, which was first recorded in the thirteenth century as Gravenhou, is made up of the different elements ‘Gren’ from the Old English (Anglo-Saxon) graefan meaning a quarry, ‘o’ from the Old Norse (Viking) haur meaning hill, and the modern word ‘side’, altogether meaning a quarried hillside. Until comparatively recently the village was smaller than the other three communities, being described in the mid-nineteenth century as a ‘considerable hamlet’. It did not have its own church until 1887, and did not become a separate parish until 1911. 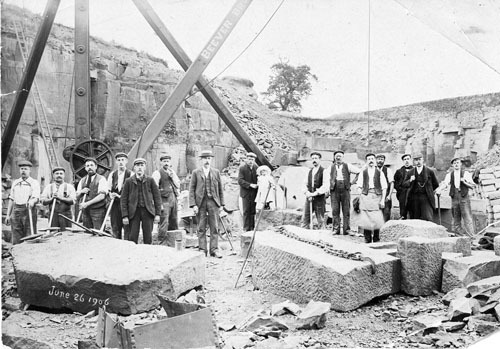 Besides farming, employment was traditionally found in quarries working the Grenoside Sandstone, in the woods (basket making and clog-sole making were specialities in the nineteenth century), and in the light metal trades such as nailmaking, cutlery manufacture and file-cutting. The place is also famous as the birthplace and location of the first foundry and steel furnace of the Walker brothers who later gained fame for their cannons and other heavy castings at their works at Masbrough. 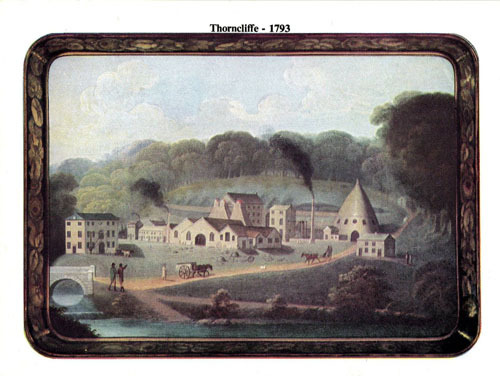 High Green, as its name suggests, began life as a straggling hamlet around a green and remained largely agricultural until the establishment of Thorncliffe Ironworks at the end of the eighteenth century. Together with neighbouring Mortomley it then expanded steadily as an industrial village to house the workers in the nearby collieries and ironworks. 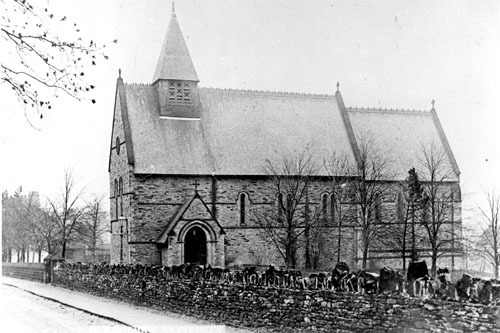 It became a separate ecclesiastical district in 1872 with the building of St Saviour’s Parish Church, built in memory of Parkin Jeffcock, whose mother was a member of a well-known High Green family, who lost his life during an heroic rescue attempt at the Oaks Colliery disaster at Barnsley in 1866. 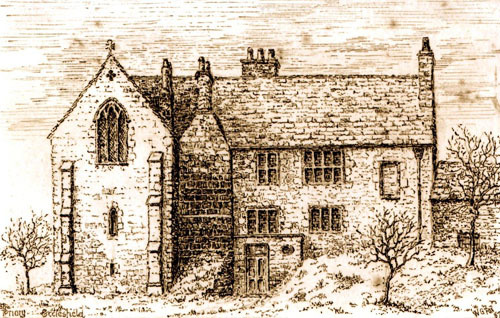 In the Middle Ages Chapeltown was simply called Chappell, after the chapel-of-ease situated there. 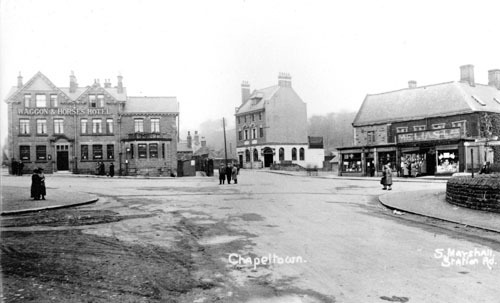 Before industrialization in the nineteenth century, Chapeltown was a hamlet that had developed around the crossroads where the Sheffield to Barnsley road crossed the Rotherham to Wortley road, and where a number of inns and small businesses were located. To the south of the hamlet was a small open field system. The hamlet was also beside Blackburn Brook which powered a corn mill near Cowley Manor and, from the late sixteenth century, the Chapel Furnace next to White Lane to the north of the settlement. This blast furnace was powered by charcoal from the surrounding woods until about 1780: after that date until about 1860 it operated as a coke-fuelled furnace and the tenants had associated coal and ironstone pits. 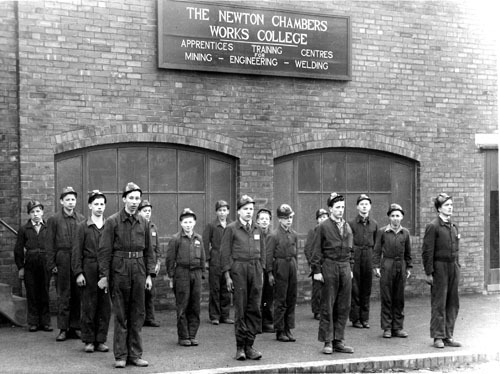 The Thorncliffe Works and Newton Chambers Ltd. However, by the end of the eighteenth century, Chapel Furnace was rivalled by a new industrial development less than a mile further up the Blackburn valley, which would overshadow much of the economic activity in the immediate vicinity and would provide employment not only for the population in Chapeltown and High Green, but also in Ecclesfield and Grenoside and beyond. This was the Thorncliffe Ironworks of Newton Chambers. The first lease of land from Earl Fitzwilliam of nearby Wentworth Woodhouse was in 1793. From a small staff of about a dozen at the beginning of 1794, there were about 300 in 1800 and nearly 8,000 a century later. The company mined its own ironstone around the works until 1880 and its own coal until the creation of the National Coal Board in 1947. 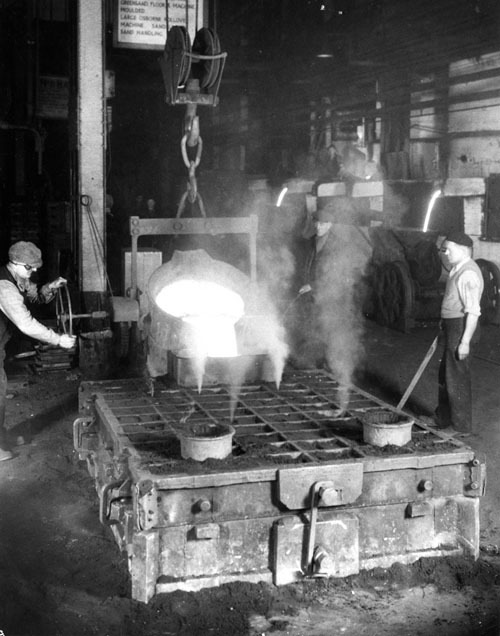 At first the firm manufactured small cast iron goods, but by 1815 was also producing heavy castings and beginning to specialize in gas lighting plant and later gasworks plant. From 1935 the firm also produced excavators and in 1958 bought Ransome and Rapiers of Ipswich and thereby doubled the firm’s excavator production capacity. During the Second World War 1,160 Churchill tanks were made in the excavator factory. 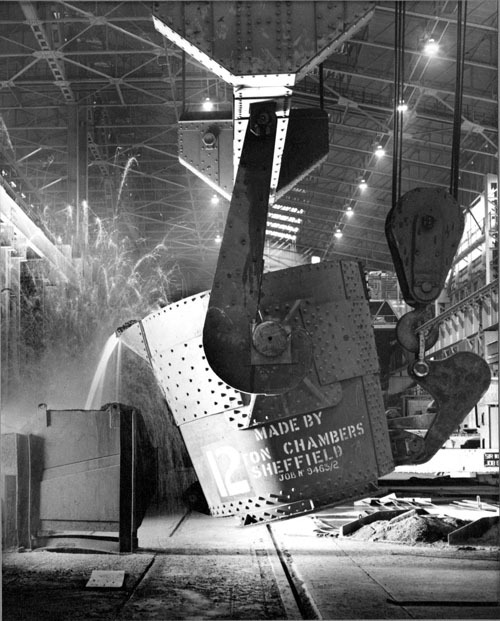 By-products of the making of coke for the blast furnaces at Thorncliffe were gases, tars and oils. 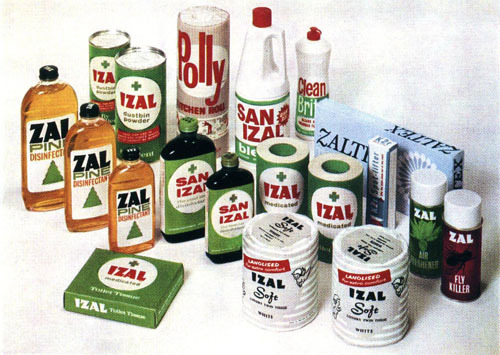 By the beginning of the 1890s a germicidal disinfectant had been developed from the oils and in 1893 this was patented as Izal. 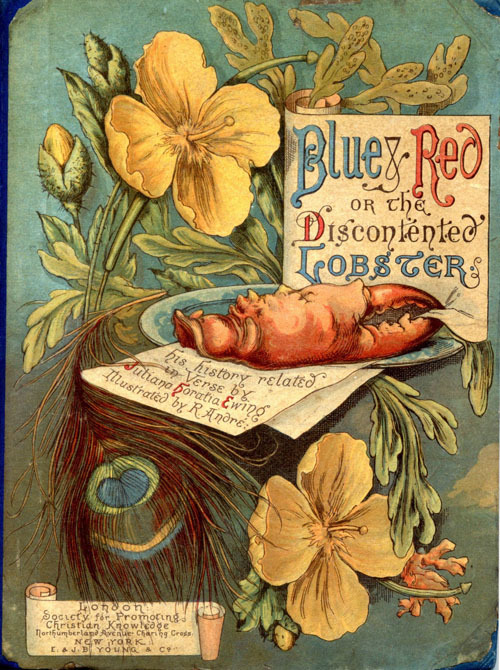 The product was soon available not only in liquid form, but also as powder, soap, cream and ointment. This famous disinfectant was said, in its early years, to be effective in combating cholera, typhoid fever, chicken pox, whooping cough and as a cure for worms, malaria, perspiring feet and baldness! 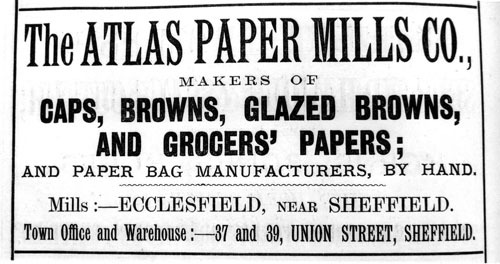 Perhaps their best-known product was the famous Izal medicated toilet paper. The Chemicals Division eventually became the most profitable part of the firm. Newton Chambers was taken over by Central & Sheerwood in 1973, subsequently completely re-organised and the most valuable parts sold off. 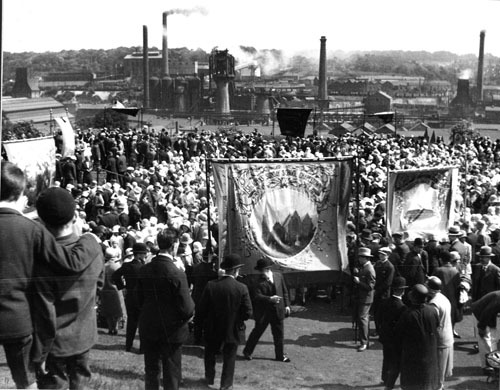 The site of the Thorncliffe Works is now a modern industrial estate, the Izal factory site is a housing estate and the collieries and coke ovens in the surrounding countryside have completely disappeared. 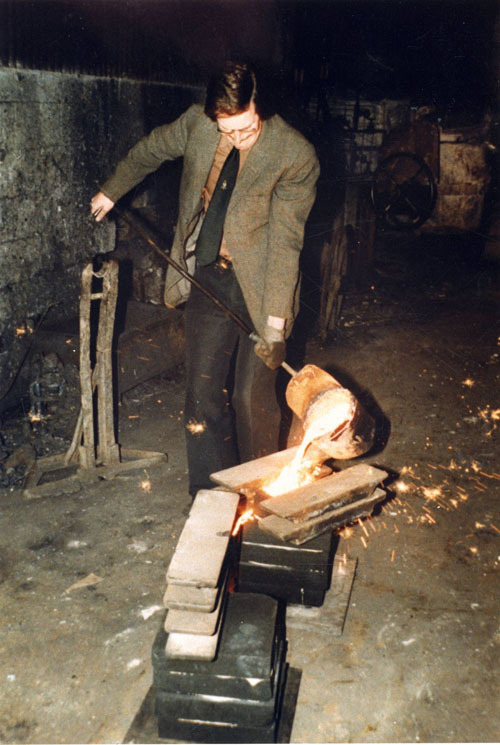 The tradition and expertise assembled in the area during the rise of Newton Chambers into an industrial giant must have been responsible to some degree for the creation of other small foundry, steel and engineering enterprises in the area, for example on Ecclesfield Common where Green’s Foundry (later Moorwood Vulcan) was located; Nether Lane, Ecclesfield, the site of the Hall & Pickles ‘Hydra Works’; Charlton Brook, the home of Charlton Ironworks; and Chapeltown, the location of Greenside Foundry and Parramore’s Foundry. 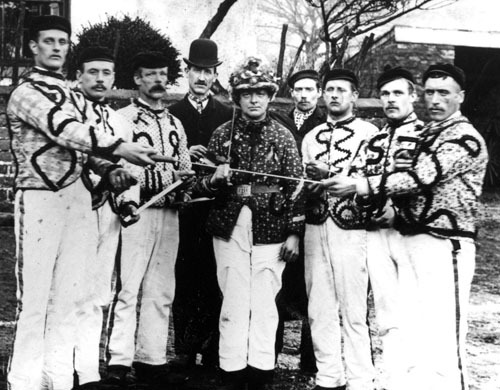 Over at least the last two centuries the parish has had its fair share of sporting, recreational and cultural groups. 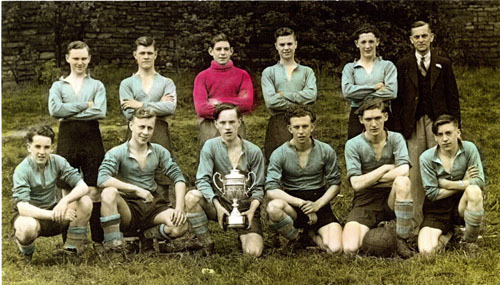 These have not only included football and cricket teams, operatic and dramatic societies, but also a group of handbell ringers, a sword dancing team and at least two brass bands. 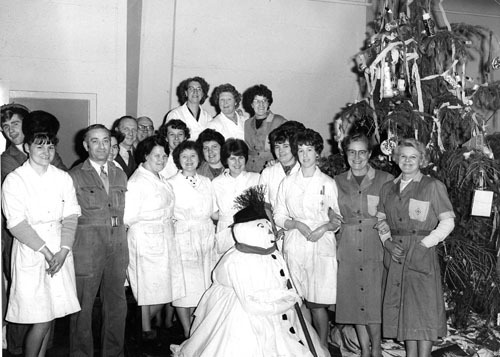 At Christmas time local carols are still sung but the Peace Egg play and wassailing are a thing of the past, as are Whit Sings and Hospital Parades. The history of the parish is well documented in a series of publications by Chapeltown & High Green Archive and Grenoside & District Local History Society. For further details of publications please see the publications collection on this website. Compiled by Mel & Joan Jones, December 2014.